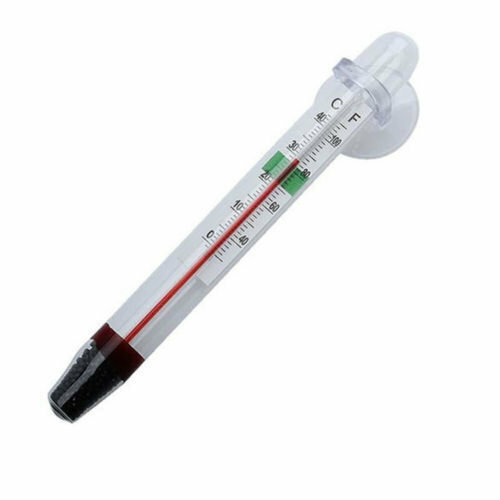 Aquarium Glass Thermometer length 11cm. These are ideal for shrimp keeping as they have a green zone safe zone marker inside the thermometer which I like. I keep my bee shrimp and neocaridina at around 22-25c all year round.